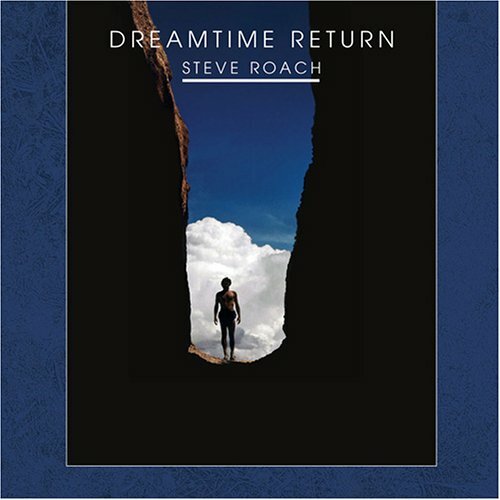 If there is an overarching figure in the world of ambient music, American Steve Roach is unquestionably that person. With apologies to Brian Eno. But if you know anything about the genre, as opposed to being a dabbler, you know who Roach is, whereas all those Philistines out there only know the Eno brand. 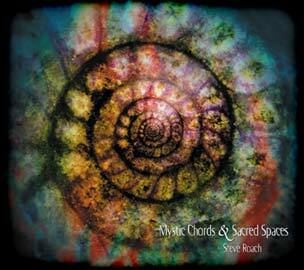 Roach has been making ambient music, and lots of it, since the early eighties, a pioneer out on the west side of America along with Robert Rich, Michael Stearns, Kevin Braheny, and other early astral voyagers (all of whom are still going strong). Roach’s output is truly astounding. He releases sometimes a few albums a year, so over a long career that’s a ton of music. And his output is pleasantly restless — he’s pioneered tribal, rhythmic ambient; dark ambient; long-form “drift ambient”; the use of field recordings; avant garde atonal ambient, you name it, he’s done it. Roach’s discography is pretty intimidating for a listener new to him who wants to start with the best. 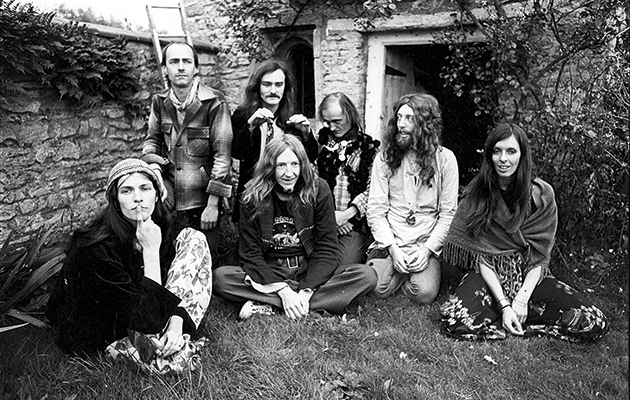 I certainly will not claim to have purchased anything close to his entire output, but I do have roughly fifty of his recordings, both solo and in collaboration, so I think I have as good an idea as anyone of the best ten albums to start your Roach journey with (I won’t be making any pot jokes). Note that all of these recordings are readily available in physical form from Roach but also from all ye online retaylers, such as Emusic, iTunes, etc. So you have no excuse if are curious enough to consider a purchase. 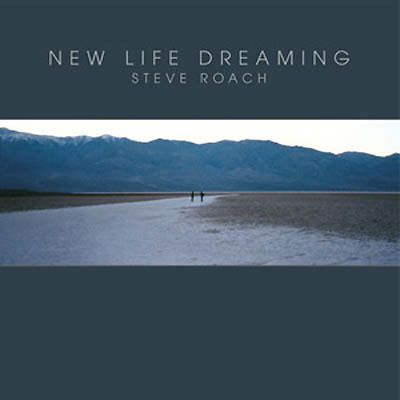 On Roach’s site you can sample basically all of his stuff, so see the link at the end of the post. Generally considered his first classic and a touchstone of ambient in general, this is three long, peaceful synth-based pieces. As noted on ye olde Wikipedia, this is his first “purely textural” album, meaning the pieces are long and are given space to stretch out. The pieces are also quite pleasantly minimalistic and sparse, showing a departure from the early European Berlin-school influences on a lot of early eighties synth music. 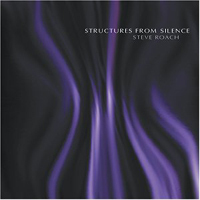 Structures from Silence is one of the albums essential to an ambient music collection. Another essential early album, this is a collection of material first issued on three cassettes. The music was commissioned for healing arts programs, which means the emphasis is on a deep, reassuring pastoral spirituality. Again, the music is quite sparse and gentle with lots of space between the notes for reflection, with some nature field recordings added. I can honestly say that there is no better music for quiet meditation than the music on these recordings. This pioneering release (two disks, of course) is where Roach started his tribal ambient journey. Inspired by Australian Aboriginal culture, the album is a mixture of trancelike beats (but slow ones, so don’t be expecting no techno), combined with the organic sounds of didgeridoo, Aboriginal percussion and chants, and mysterious synth sounds, meant to conjure up a mystical vision of the dreamtime. And dang if it’s not totally successful! A highly influential recording that still holds up today. Probably the best known of Roach’s long-form seventy-minute albums, Darkest Before Dawn is pure dark ambient, so dark that most Goths would probably be scared off. It sounds like it was recorded in the deepest depths of space (in theory, I know space is a vacuum) or in the cavernous belly of a spacecraft. For the entire span the mournful sounds weave in and out through a miasma of reverb — this isn’t so much peaceful as it is trance-inducing. Another don’t-miss release. Another mega-release. I guess I like those. This is a four-disk set of one long-form piece and three disks of shorter pieces. While the mood of this music is not generally dark, there’s a mysteriousness to the ever-shifting tones and the odd whistly sounds that linger in the background of many of the pieces. Some pieces are prettier, some atonal, and some feature otherwordly birdies chirping. There’s a pervasive feeling of the fecundity of nature, overgrowing everything in a jungle environment, kind of rainy and soggy. Ah hell, it’s hard to capture these things in words. But yet another essential ambient release. 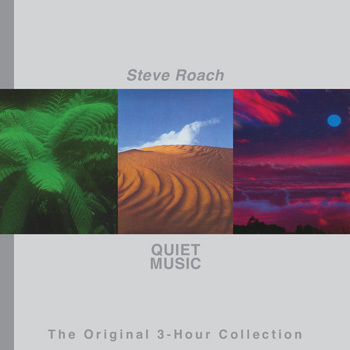 This is quite possibly my favourite Roach album, and that perception could be based on the first track alone. “Perfect Dream” consists of a massive wave of undulating bass synth that repeats over and over, with more delicate synth sounds in an interplay underneath. It puts me in a wonderful state of mind that few pieces can achieve. It also scares the crap out of my cat for some reason. 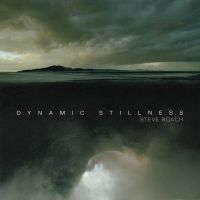 The other four tracks are good examples of Roach’s drift ambient (big pads) and also feature some tranquil field recordings. The Immersion series is a collection of long-form pieces, by which I mean they average an hour plus. They are pure drift ambient, monolithic slabs of reverby synth pads with little variation. In other words, true ambient that you can put on in the background to your day, or to send yourself to sleep, or to do some zazen meditation. The beauty just sort of trickles into you. There are variations in mood, of course, between pieces, but not within them. 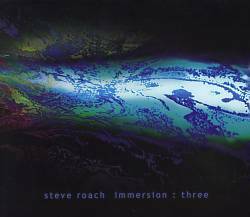 I choose Immersion Three over the others because it’s a three-disk set (that came in a lovely digipak) as opposed to a single release. That’s like, four hours of drift! Landmass is in the beat-y, sequenced style going back to Dreamtime Return. The mood is set by those sequenced, repetitive beats as well as the trademark leviathan clouds of pads, conjuring up the vastness of desert scenery. Roach is quite adept at matching titles with the exact atmosphere of the piece. 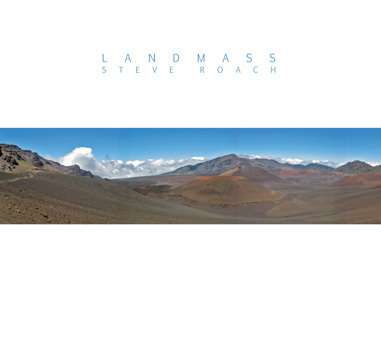 While not one of his top five albums or anything, this one demonstrates just how consistently interesting Roach’s work is, despite operating within the theoretically limiting confines of ambient. Another big release (two disks). The title of Dynamic Stillness is quite apt, for there is a sense of permanence and calm but also an energy (I refuse to use the word “propulsive”…don’t make me!). The mood is darker, as suggested by the cover, sort of the calm before the lightning storm. A long drift piece, “Birth of Still Places”, is the centrepiece. Even though the album is beatless, there’s definitely an ominous electricity to this album, which is one of Roach’s best. Cheating a little here, since I hadn’t intended to put any of Roach’s numerous collaborative albums on this list. But this one is just too good not to mention. It’s a collaboration with fellow celebrated ambient artist Dirk Serries, better known as Vidna Obmana. 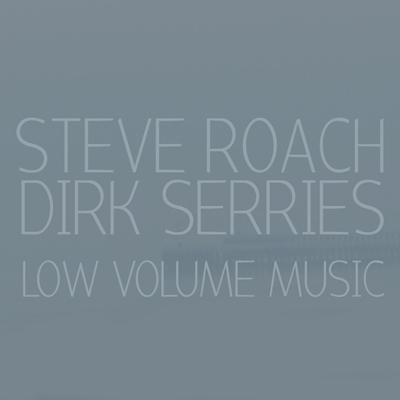 It’s a little unusual for both artists in that, as the title suggests, it’s very restrained, sparse music in which less is more, and hence hearkens back to Roach’s early eighties material and Serries’ early nineties albums. The reason I recommend it here is it’s a wonderful execution of delicate drift music that demonstrates these guys are getting better with age, like a couple of fine wines. Thank you for list and short explanation. Lots of classics, and some newer albums for me to explore. Thanks! 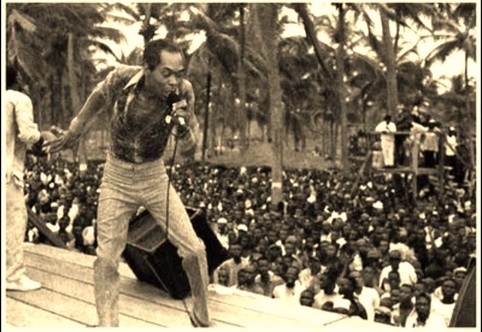 It was tough- he has made dozens of albums to choose from. I would also add The Magnificent Void – always found it an essential album of his and one that keeps surprising me on repeated listens, even after 10+ years. Yep, that’s another classic. One of his more challenging releases.